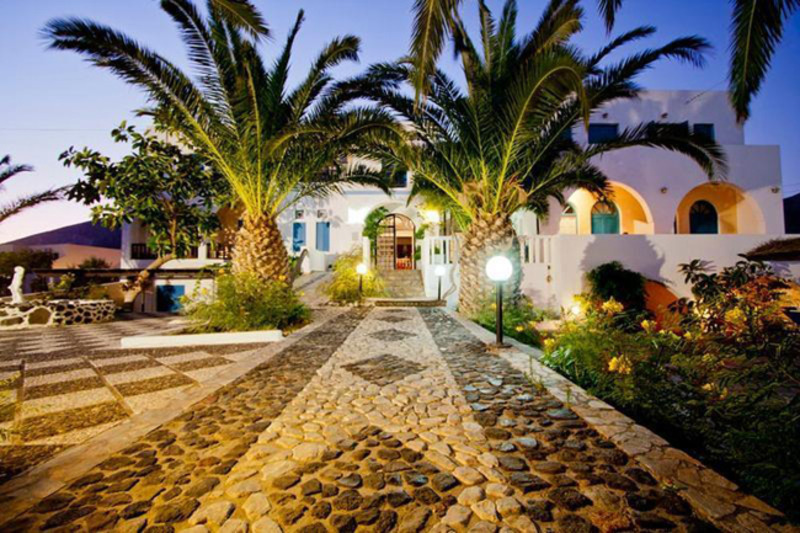 Petra Nera hotel welcomes you to the magical island of Santorini. 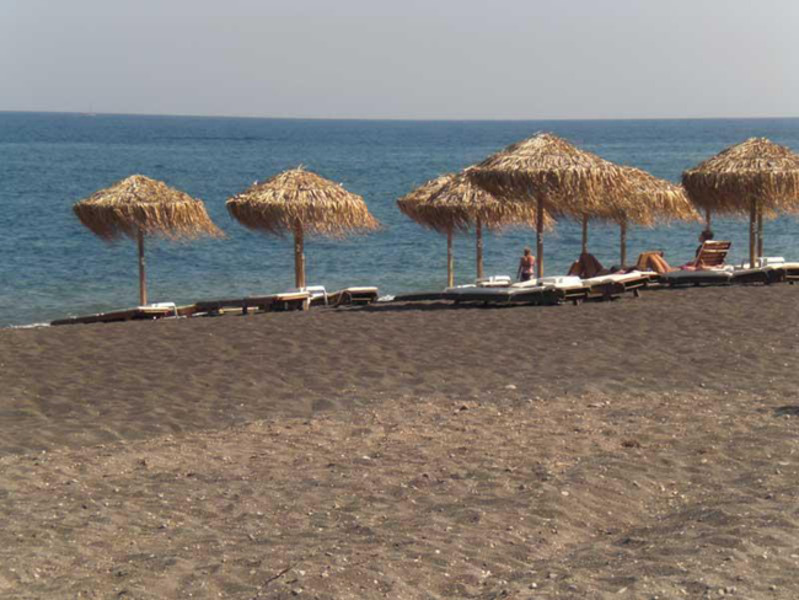 Located at Perissa, one of the most cosmopolitan villages of Santorini, Petra Nera is situated just 300 meter away from the biggest black sand beach of the island. 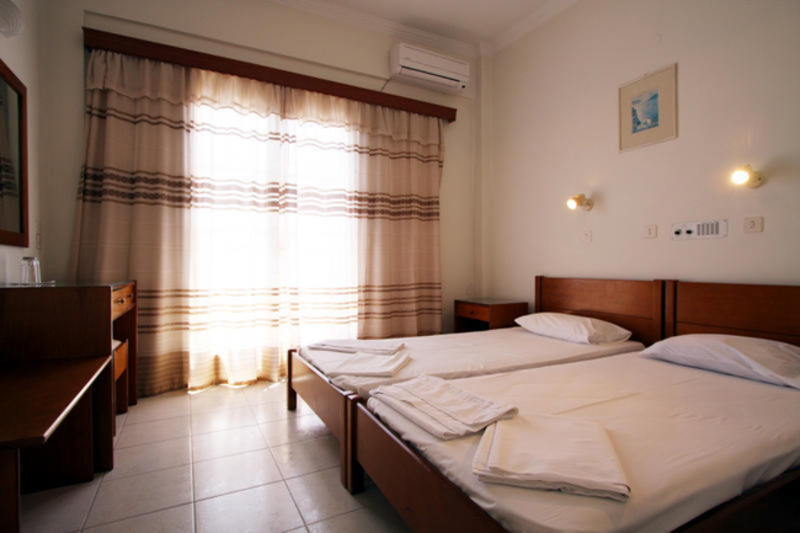 Hotel Petra Nera offers comfortable accommodation. 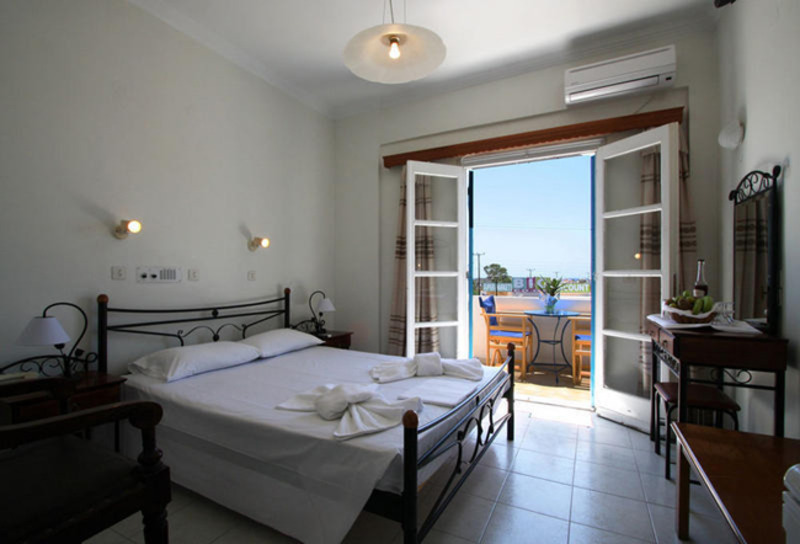 Double, Triple and four persons rooms with private bathrooms and private balconies are at your disposal. 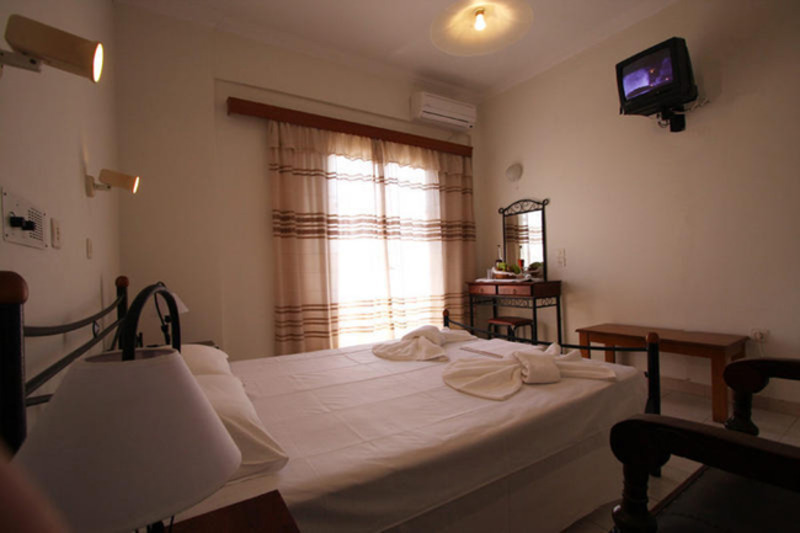 All the rooms are equipped with Air Condition, fridge, TV set, telephone and music. In our reception you will find safety deposit boxes, and in our lounge you can watch Satellite TV. 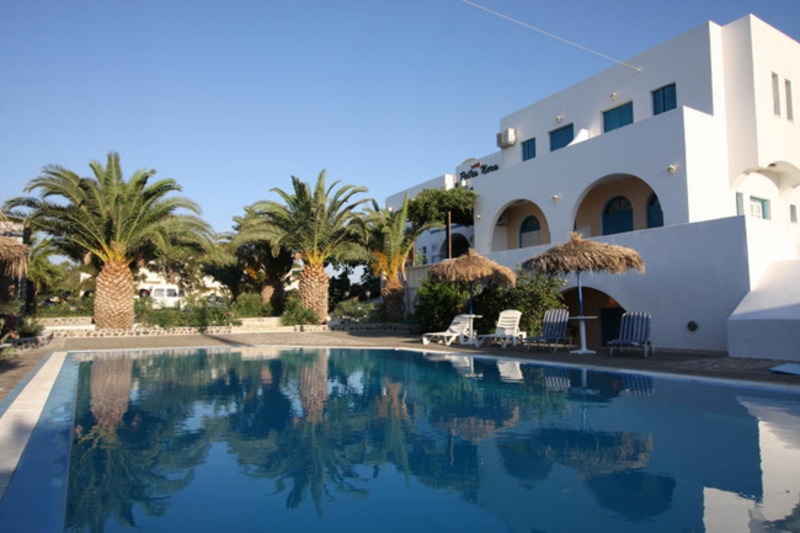 In the hotel you will also find a comfortable breakfast room, a swimming pool and parking space. Information for car and motorbike hire is also available. 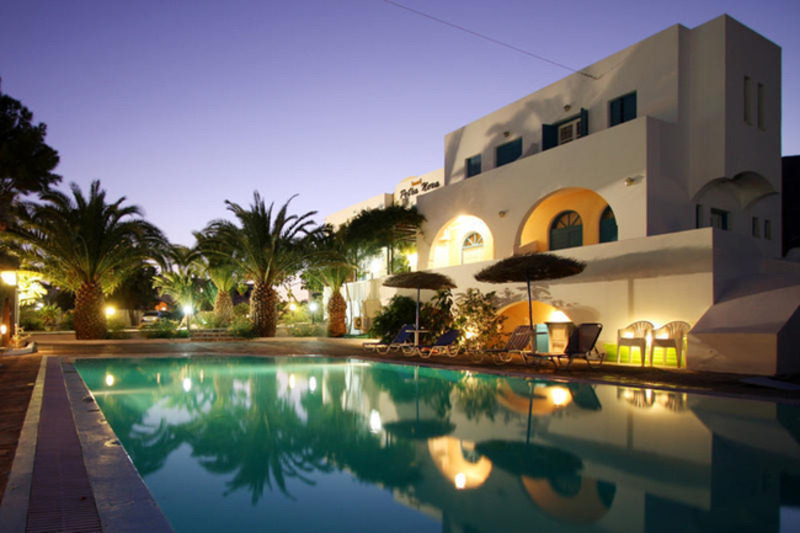 The friendly environment and the family atmosphere of our hotel will help to make your vacations in Santorini unforgettable.